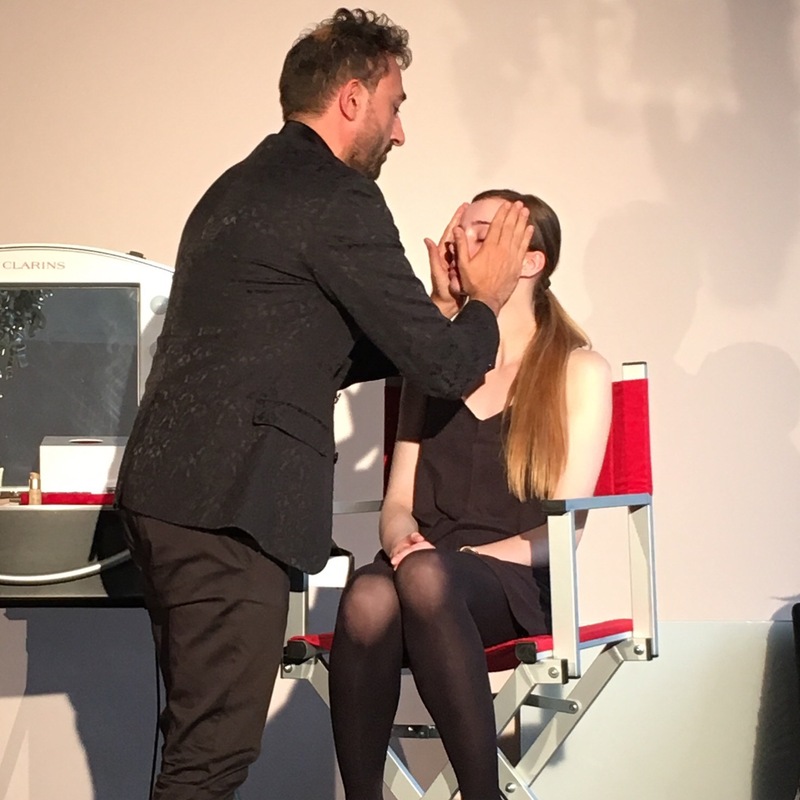 On Wednesday evening as some of you may know if you follow me on social media, I was invited to a beauty or makeup masterclass with Clarins’ international training manager, Simone Colombo. 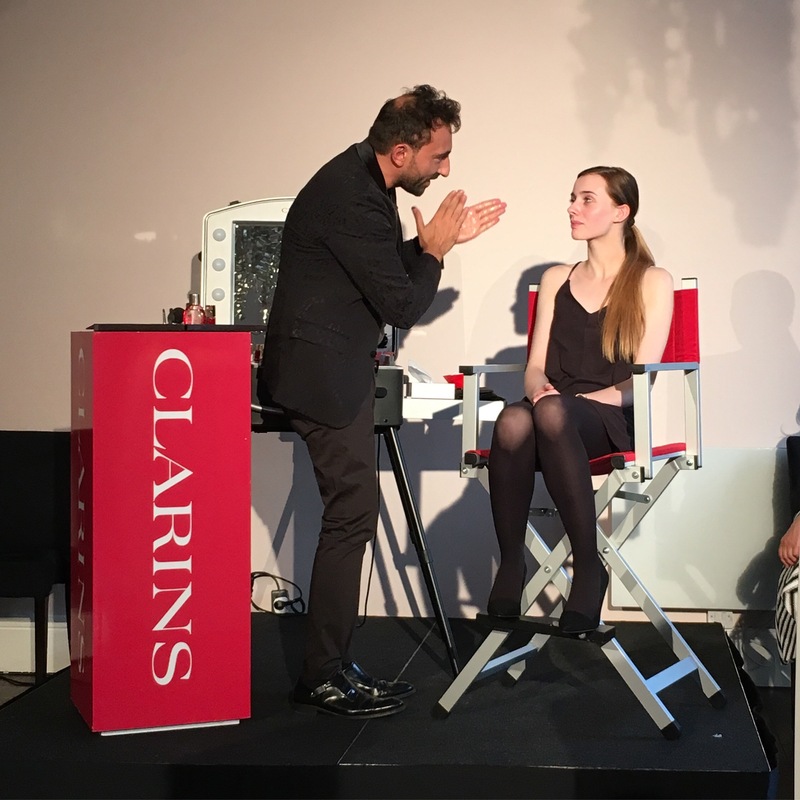 As I hadn’t been to a Clarins event before, I was super excited to go along and see what the masterclass had to offer. Simone Colombo is what one can only describe as an artist. He worked on two makeup looks, a soft natural day time look, which later was given sweep of eyeliner and a dust of smokey shadow to create a more dramatic night time look. Both of which were truly flawless and beautiful. It probably helped that the model had the most amazing skin I’d ever seen too! Anyway, I’m not a beauty or makeup professional, I don’t know everything there is to know about what you should or shouldn’t do when it comes to skincare and makeup, but I do love beauty, I love applying and wearing makeup, and I know what I like and don’t like. 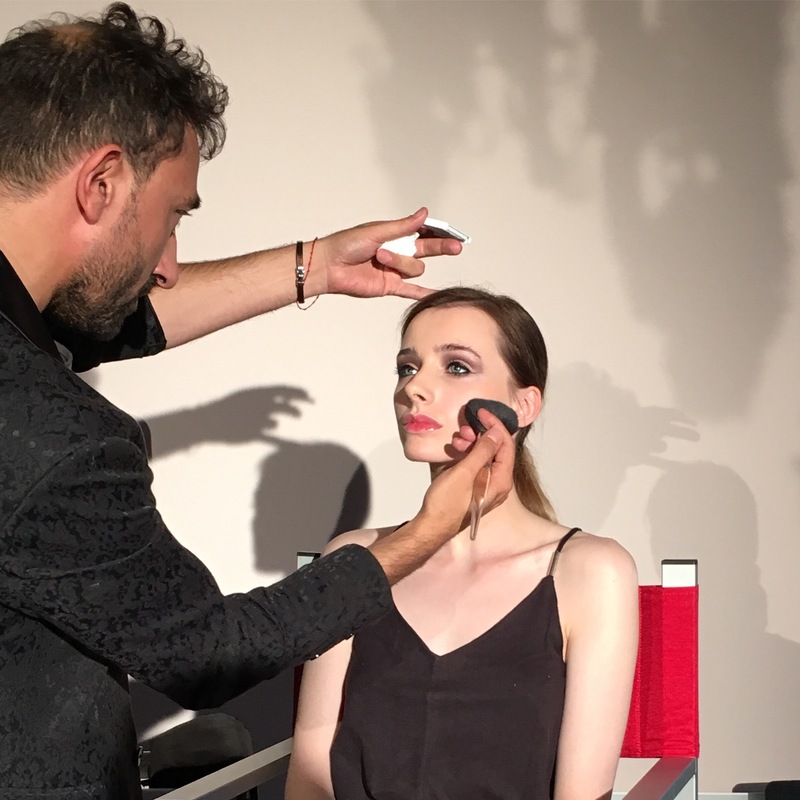 However, the bit that I do know, I’ve picked up from watching makeup artists at work over the years, asking questions and getting good tips, and Wednesday’s event was another chance to learn. Don’t rub your moisturiser or primer on the face. Instead, pat it into the skin using the palms of your hands. This will allow it to absorb better into the skin and you won’t need as much product either. Start applying your foundation from the centre of the face (around the nose and cheeks) and work your way outwards to get an even application. To create the perfect line of eyeliner, use an eyeliner pencil on the outer corner of the lower lid and draw a line outwards towards the brow before applying to the upper lid. This will give you the perfect line from which to then apply liner on your eyelid. Use both pencil and liquid eyeliner for a more dramatic look. Whether you love makeup or not, I think these tips will definitely come in handy every now and then, so that’s why I wanted to share them with you all. I love events like these because there is always something more to learn, and the more you can learn about the things you love, the better. Well I think so anyway! I’ll definitely be putting some of them to the test this weekend and hopefully you can now too. Yeah I’d never heard that one before. Great tip!